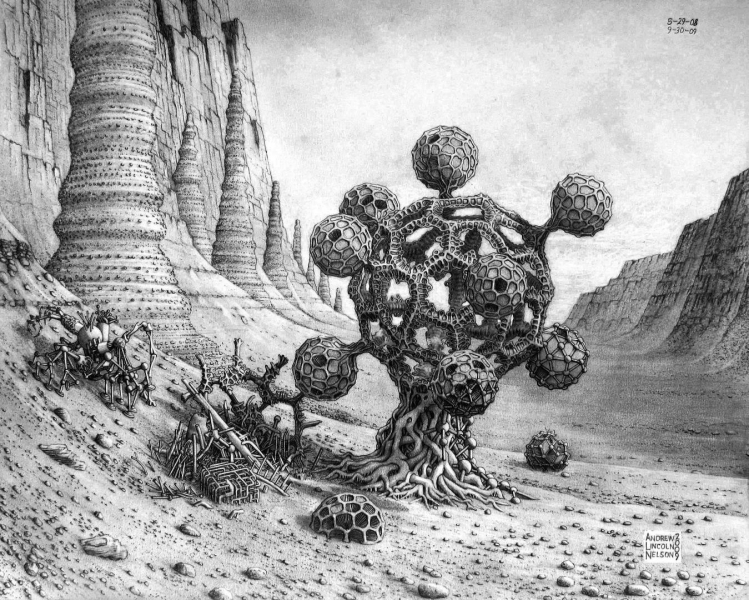 The drawing depicts a sessile plant-like form with some machine parts. In addition, a nest and small robot are shown. The work explores categorization concepts by blending machine, plant and animal aspects, and will serve as a study for a new drawing to be include in the Living Machine series.